A 4x7 round cornered school calendar magnet is best for spreading brand information. It can show against the surfaces such as book shelves, cabinets, and refrigerator. 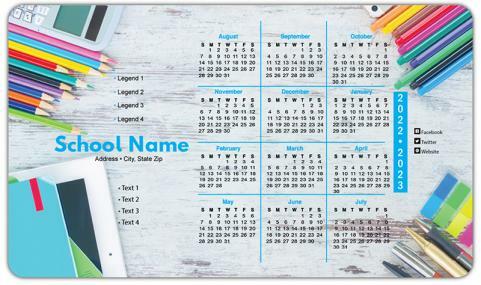 The school authorities can offer this calendar magnet as a token gift in the beginning of the academic year. This promotional magnet can be easily customized against the payment of $0.31 and also advertisers can seek it for cheaper prices by ordering the magnets in bulk.